Make a bed fit for two out of PVC pipe. Available at most hardware stores, PVC pipes offer an affordable, durable building alternative to wood. Using pre-cut pipes, these beds can be created quickly and easily. Place a firm sheet of plywood over the horizontal pipe bars to create a sturdy platform that fits a twin mattress. An elevated lower bed leaves space for storage. For a single child, consider leaving out the lower mattress platform and creating a loft bed. Create a 39-inch segment of pipe by connecting 11-inch, 17-inch and 11-inch segments of pipe with a T connector between each. The middle opening of the T connector should face upward. Repeat to create a second 39-inch segment. Create a 75-inch segment by connecting four 18.75-inch segments with a T connector between each. The middle opening of the T connector should face upward. Repeat to create a second 75-inch segment. Form a rectangle from the two 39-inch segments and the two 75-inch segments. Use a three way corner connector to form the corners. Place a 12-inch segment of pipe into each upward-facing connector opening. 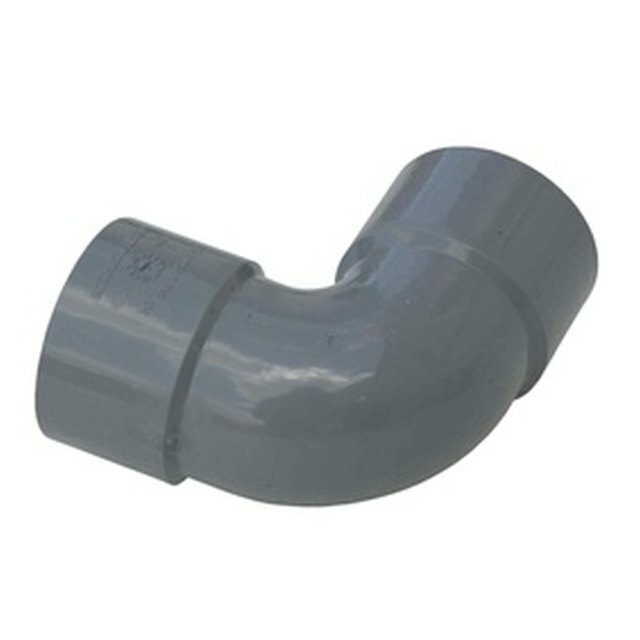 Place a 4-way corner connector on each corner pipe. Place a 4-way cross connector on each pipe that is connected to the 39-inch segments. Place a 5-way connector on the segments above the 75-inch segments. The middle sections of the 5-way connector should face inward. Create another rectangle by fitting 11-inch, 17-inch and 18.75-inch segments of pipe between the connector fittings. This second rectangle should exactly mirror the one beneath. Create a mattress platform by fitting 39-inch segments between the 5-way connectors. Place a sheet of plywood above the 39-inch segments. Place a 36-inch segment of pipe in all of the upward facing connector openings, except for those on either side of the 17-inch segments. Repeat step 4 to create a second, upper bed platform. Place a 6-inch section of pipe in each of the upward facing openings. Place elbow connectors on the cross connectors above the 39-inch segments. These connectors should face away from each other, toward the corners of the bed. Place an 11-inch pipe segment in each elbow connector. Place a 3-way corner connector on each corner. Create a railing around the top of the bed using pipe segments, T connectors and three-way corner connectors. Leave the space above the 17-inch pipe segments empty, because this is where the ladders will go. Create the ladders. Place a 6-inch segment of pipe in each upward facing connector opening on either side of the 17-inch pipe segment on the lower mattress platform. Place a T connector on top of each 6-inch pipe segment. The middle openings should face each other. Place a 17-inch segment of pipe between the connector openings. Place a 6-inch segment of pipe in the top opening. Top with a T connector. Repeat until the ladder connects with the upper mattress platform. Repeat on the other side of the bed. Disassemble the dry-fit pieces in small sections and glue them together. Glue the bed together in several sections: the base, the lower mattress platform, and the upper mattress platform with rails. Use a drill to secure the vertical pipes in their fittings with screws. This will make it easier to disassemble. Before gluing sections of PVC pipe together, draw a line across the fitting and the pipe. Quickly align the lines before the glue dries to eliminate the potential for mistakes. Be sure that any children using the finished bunk beds exercise appropriate caution. Do not allow rough play on the top bunk, and do not allow children to climb on the exterior frame. Keep a night light in the room at all times so the child can see the ladder and navigate it safely. There are many opportunities for mistakes. Purchase extra PVC pipe and keep a saw nearby so that you can cut it to the sizes you need.